I would like more information about 2232 20th St, Santa Monica, CA 90405 MLS #19431790. Classic Spanish w/ modern upgrades on big R2-zoned lot. This valuable triple threat has it all: (1) Updated 2bed/1bath ready to move in (2) Enormous park-like yard, ideal for expanding (3) 7, 200 sq ft R2-zoned lot w/ alley access, perfect for building multiple units. The bright & sunny home has appealing vintage touches such as tile roof, barrel ceiling, detailed archways & refinished hardwood floors. Smart contemporary improvements include brand-new ductless heating/AC, updated electrical panel & wiring, recessed lighting, copper plumbing. Remodeled kitchen w/ quartz counters & stainless steel appliances, plus redone bathroom w/ new fixtures, subway tile, & double sink vanity. Grassy front yard behind picket fence & huge grassy backyard both on sprinkler systems. Located in prime Sunset Park, close to beach, parks, Santa Monica schools, Expo Line, restaurants along Pico, Ocean Park, Lincoln & Main Street. Centrally convenient to tech hubs such as WaterGarden, Snapchat, Silicon Beach. The property on 2232 20th St, Santa Monica, CA 90405 is listed for $1,695,000 as MLS #19431790. 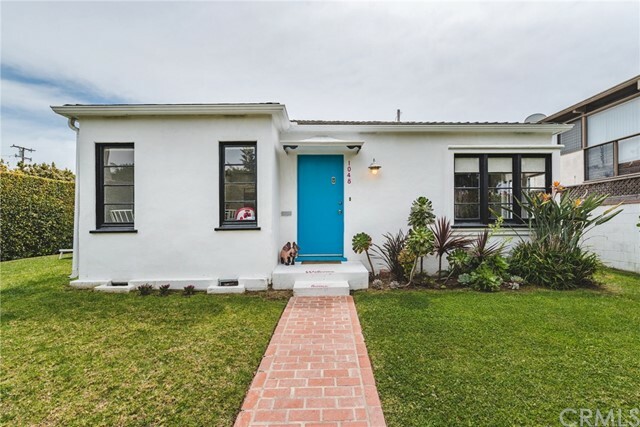 This 2 bedroom, 1 bathroom 944 sqft Single Family Residence built in 1928 located in Santa Monica, CA 90405. For more information regarding this or any other property in Santa Monica, please contact us at (424) 272-1339.